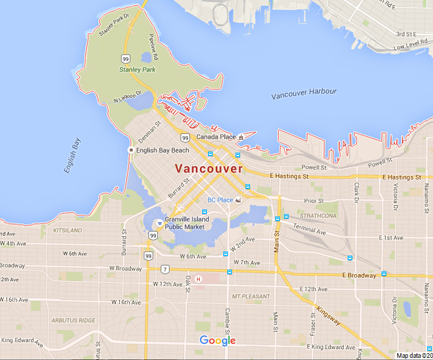 Looking for specialists in overhead opener installation in Vancouver, British Columbia? Contact us. We install all types of residential openers and by any large brand. Whether you want a new opener for your overhead door or up-and-over door, count on our consultation and expert garage door opener installation Vancouver work. The role of openers is to provide convenience, increase the security of your residence, and minimize any possibility of accidents. Our role is to make sure openers are installed, serviced, and fixed right so that they will play their part right. So, you can depend on us for both your garage door opener replacement and repair needs. Openers have made remarkable progress over the decades. You should trust that our company, Homeland Garage Doors Vancouver, has changed over the years too in an effort to keep up with innovations. With a number of special features, new openers provide safety, enhance security, and make access fast and comfortable. Part of our job is to help you make a choice when it comes to new units. Want to replace the existing Genie opener and stick to the same brand? Interested in getting a Liftmaster MyQ technology opener? Wondering if any opener from the Comfort series by Marantec will fit well at your home overhead door? Ask us and let our staff assist you. 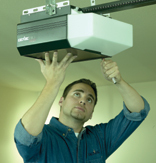 We have the skills to install garage door opener models by any brand. Familiar with all opener innovations and trained to provide garage door opener installation in Vancouver, we can answer your questions and fit the new opener properly. All connections and adjustments are done with great caution. Whether your door requires a 1 horsepower chain drive motor or ¾ hp belt drive motor, it’s all the same to us. We install and repair belt, chain and screw drive AC and DC motors of any power. Even if our team hasn’t installed your home opener, let us maintain it and call us if you are faced with problems. Not only do we install new openers but also provide same day garage door opener repair. Contact us and let us fix any opener problem.